This is just hilarious! This one was much more comedic than the first one. I liked seeing the snippets of the story and felt that they were longer, more developed, and stronger than the first volume. These were witty, endearing, happy, serious, and sometimes dangerous. I would recommend these to anyone who wants to see more within the story – it gives a different perspective and insight. 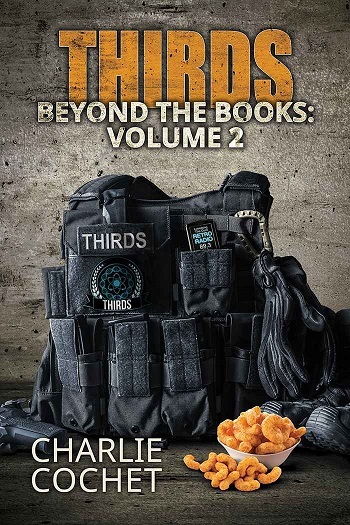 Reviewers on the Wicked Reads Review Team were provided a free copy of THIRDS Beyond the Books: Volume 2 by Charlie Cochet to read and review.